Jen, a school counseling intern who graduates in December, gave an organizational skills lesson a creative and interactive spin! I was running an organizational and study skills group for 7th and 8th grade students during my field experience at a middle school. In this group, each session focused on a different area of organization and studying. In the session where we focused on organizing backpacks and binders, we played a game where students had to race to find a paper in a backpack. I got this idea from the book Creative Approaches for Counseling Individual Children in the School Setting by Diane S. Senn. However, I decided to make it into a racing game between two students to make the activity more interactive and fun. I asked the group for two volunteers to play a game, and then asked the volunteers to each choose a backpack. I explained that they would be racing to look through their backpack to find a piece of paper with an “X” marked on it. Before the race began, I had the other students in the group choose who they thought would win and to cheer for them during the race. What the students did not know before opening the backpacks was that one was very well organized and the other was a mess! The organized backpack had binders with papers in the pockets, notebooks, textbooks, and folders all neatly placed in order. The disorganized backpack had papers crumpled and stuffed in every pocket, textbooks jammed between the papers, and folders and notebooks with loose papers coming out. When the race began, the student with the organized backpack was able to calmly look through the binders and folders to find the “X”; while, the student with the disorganized backpack was throwing papers all over the floor to try to win the game. Not surprisingly, the student with the organized backpack was the winner. After this activity, I had the students all take out their own backpacks and look through them to compare them to the ones in the game. Many of them found that their backpack looked more like the messy one than the organized one! To prepare for this activity, I didn’t spend any money. I was able to use two backpacks that I had at home and I stuffed them with spare school supplies that were in the counseling office. This activity was very easy to prepare for and the students really enjoyed it. It was a great, visual way for students to see the benefit of being organized. I absolutely love Jen's Backpack Race Game and can't wait to do it as part of the organizational skills groups that I am running with 6th graders. This lesson could be used for a variety of ages, elementary through high school! This a low or no cost activity that provides a visual, real life example of how disorganization can slow you down. Jen took an activity that could have seemed boring to students and made it into a game where they were invested and got excited to see who would win. Something I would like to do as extension to this activity is create a "disorganized locker game" using two lockers, an organized one and a disorganized one. This activity could be used as part of a classroom lesson or during a group session with students. 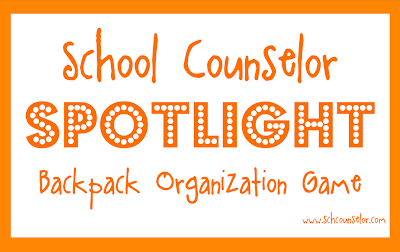 Thanks so much Jen for sharing an awesome School Counselor Spotlight idea with us! 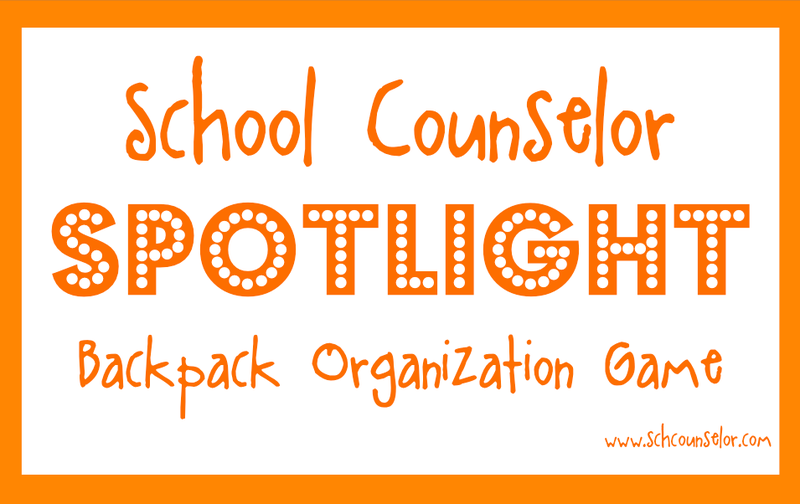 What activities do you do in organizational skills groups for students? What resources do you use? 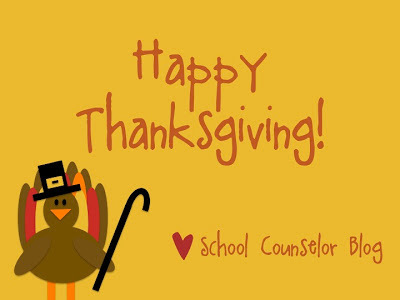 Our November #SCCHAT was held on November 5, 2013. 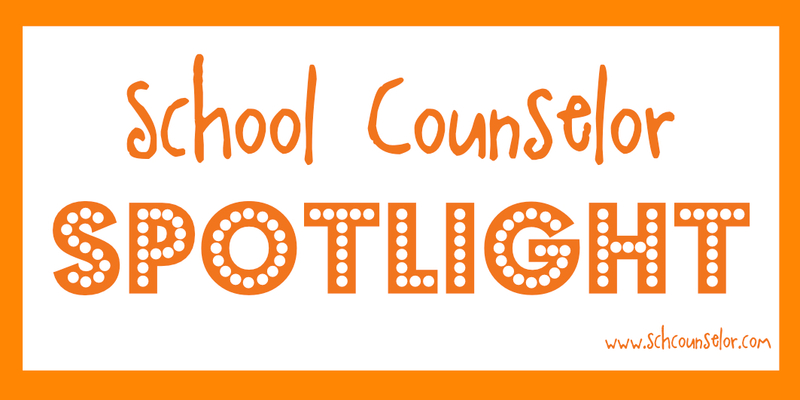 The topic of the chat this month was Creating and Implementing Lesson Plans moderated by Chris Wood (@ChrisWood415) a tech savvy school counselor from Iowa. 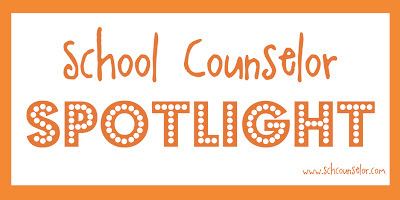 School counselors shared great resources related to creating and implementing lesson plans as well as aligning lessons with local, state, and national standards. Join us for the December #SCCHAT on December 3, 2013 at 8pmEST! The topic is to be determined.